Adjust oven rack to middle position and heat oven to 320F/160C. Grease an 8½ x 4¼-inch loaf pan and set aside. In a medium bowl, sift together flour, baking powder, ground ginger, and salt. In a small bowl, mix together milk, vanilla extract, and lemon juice. Set bowls aside. In another small bowl, toss together sugar, lemon zest, and grated ginger using your fingers until well combined or process the mixture in a food processor. This step is necessary to get the flavors out of the lemon and ginger. Using a mixer fitted with the paddle attachment, beat together butter and lemon-sugar mixture. Beat until light and fluffy, about 4 minutes. Occasionally scrape down the sides and bottom of the bowl. Add eggs, one at a time, beating well after each addition. On low speed, beat in half of the flour mixture, followed by the milk mixture, and then the rest of the flour mixture. Do not over mix. Scrape batter into prepared pan and smooth the top. Bake for 45-55 minutes or until a skewer inserted into the center of the cake comes out clean. If the top is browning too fast while baking, cover pan loosely with aluminum foil. Allow to cool for 10 minutes before adding the syrup. To make the syrup: While cake is in the oven, prepare the syrup. In a small saucepan, combine sugar, lemon juice, and water. Cook on medium-low heat until sugar dissolves and syrup forms. Set aside to cool. While cake is still warm, poke the top a few times with a toothpick, then brush with syrup. Allow cake to cool completely on a wire rack. 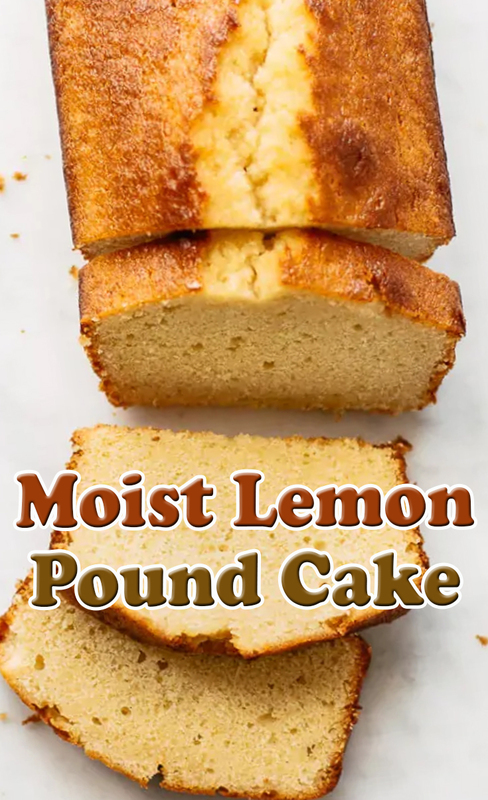 The syrup makes it extra moist, so if it’s cut while still warm, it may crumble.